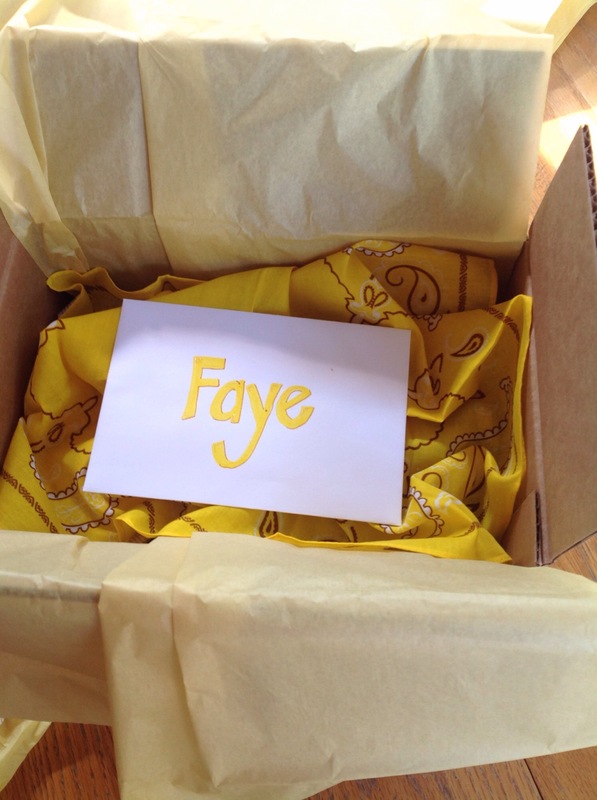 My friend Faye lives 240 miles away. I’m lucky enough to see her maybe once or twice a year. Superman and I got to hang out with Faye and her husband, Larry, while we were in Banff, Canada. After dancing the night away one evening, recovering with a glass of wine and Larry massaging Faye’s feet, she told me about the surgery she was about to have. Get this…the surgery would entail the surgeon extracting fluid from her eyeball, then inserting some sort of gas. For the next 7-10 days, Faye will have to lie with her face down…24/7! 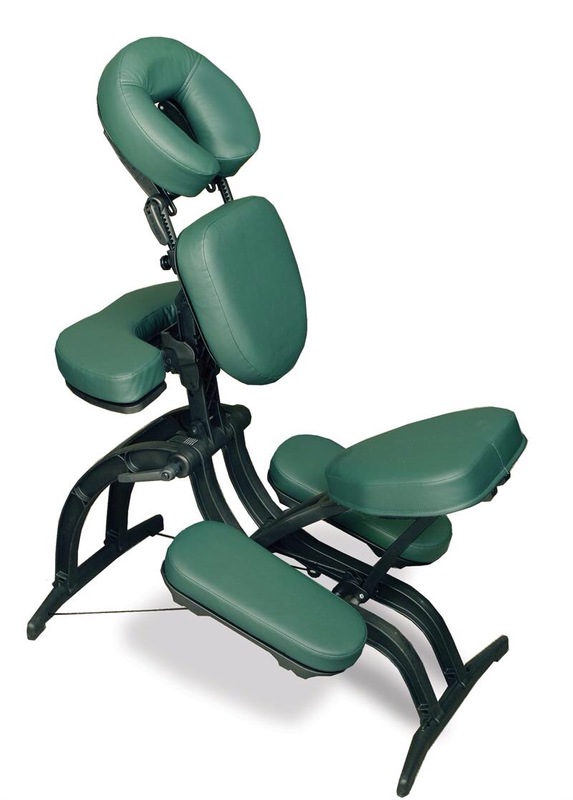 She will have a chair that looks like this to place her face in during the day. At night she’ll sleep with a face cushion that attaches to the end of her bed. PEOPLE! Can you imagine?!? 24 hours a day for 7-10 days! Yowza! I know Larry is going to keep her company and take real good care of her, but I can only imagine that if it was me, I might become a little stir crazy. So I decided to send her a box of sunshine. When I saw this idea on Pinterest, at happymoneysaver.com, I knew this was for Faye. 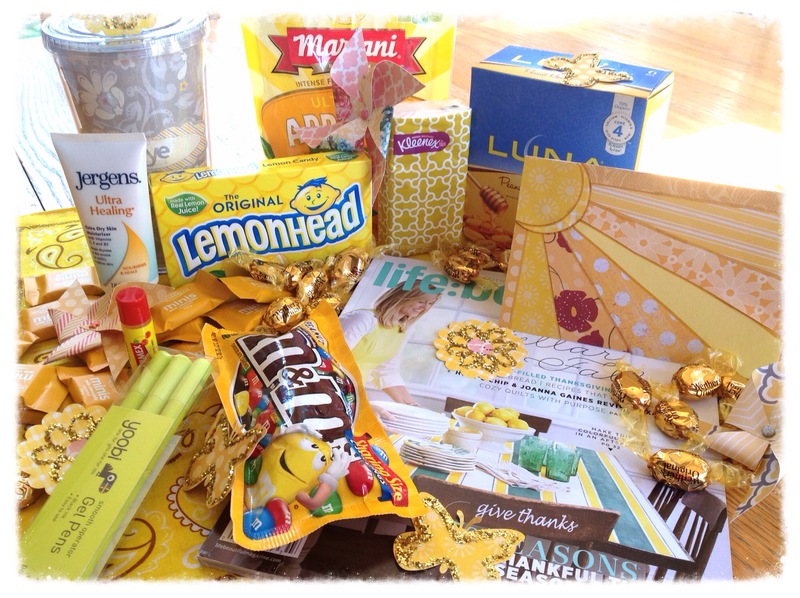 I went to Target and looked for “yellow” things: M&Ms, lemon drops, Werther’s candies, chocolates, lip balm, tissues, lemonade packets, lotion, pens, protein bars and a yellow handkerchief. I crafted up a plastic tumbler with her name on it, then put the lemonade packets inside. And I put the fall issue of Life:Beautiful Magazine, which not only is a beautiful, inspiring and “feel-good” magazine, it had the color yellow on its cover. I lined the mailing box with yellow tissue paper and started to fill it up! 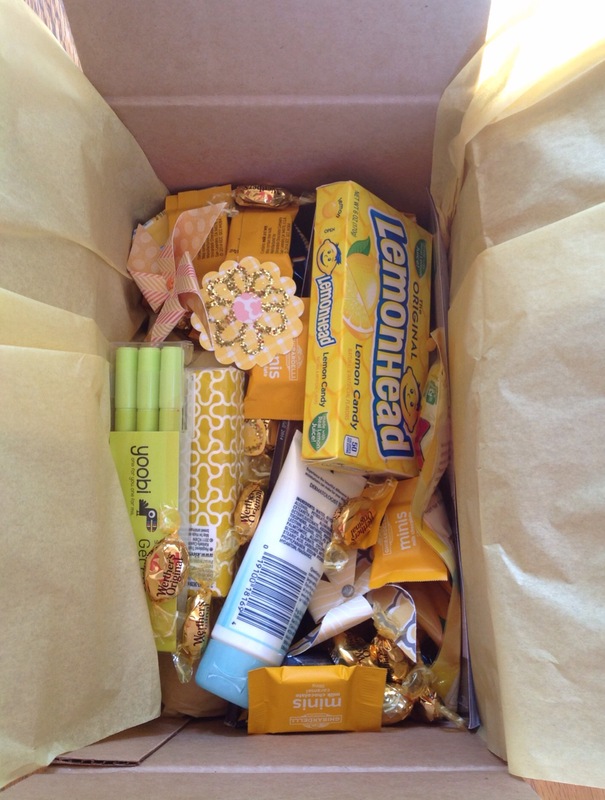 I suggest opening some packages, like the wrapped candies and bars, to help save space. 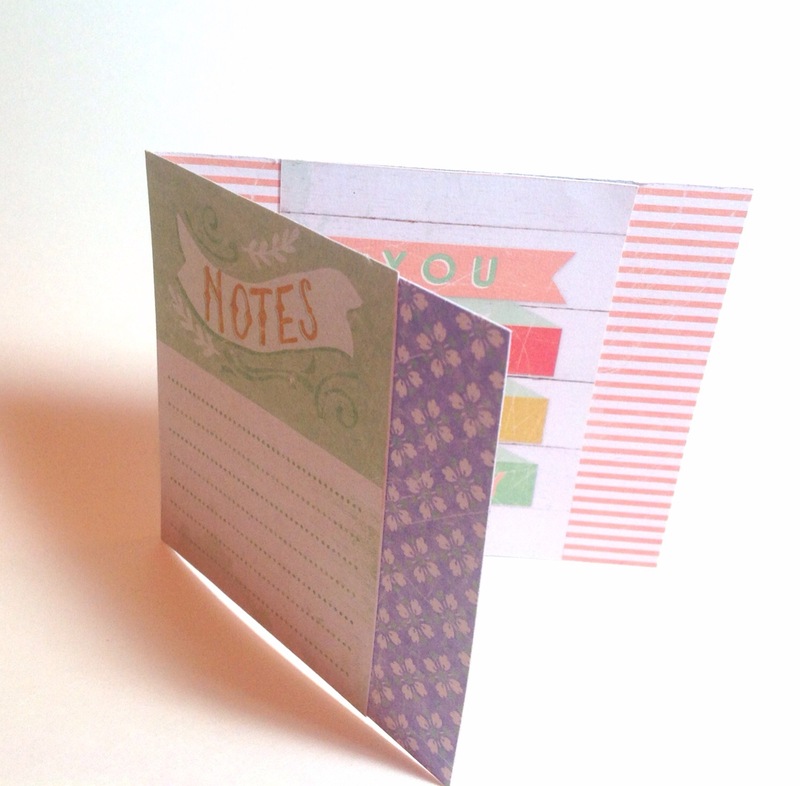 I made a sunshine card, which honestly looked like a kid made it, but it goes with the theme. Inside I wrote…”Praying that you’ll be looking up soon!” Yup. Pretty corny. 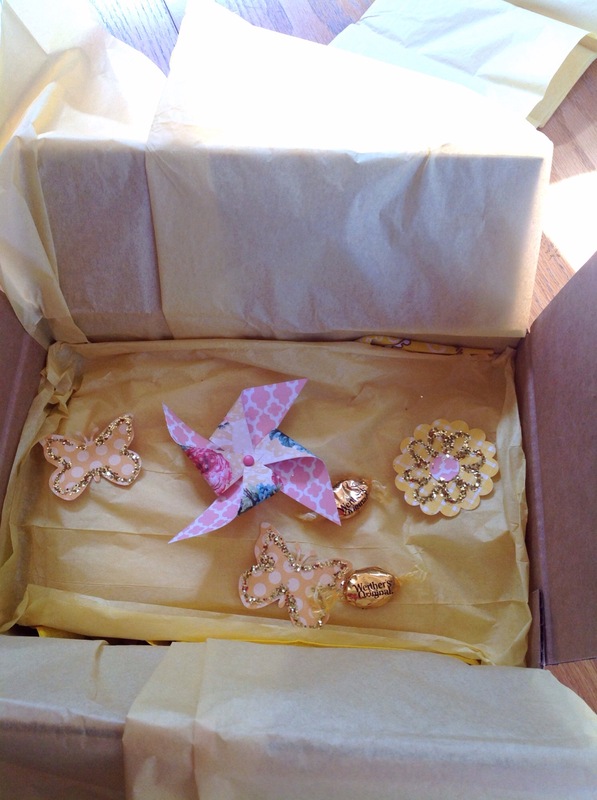 Every box of sunshine has to have glittery pinwheels, flowers and butterflies! Ok. Maybe not all of them, but glitter sure makes me happy. Hopefully it will cheer Faye up too. 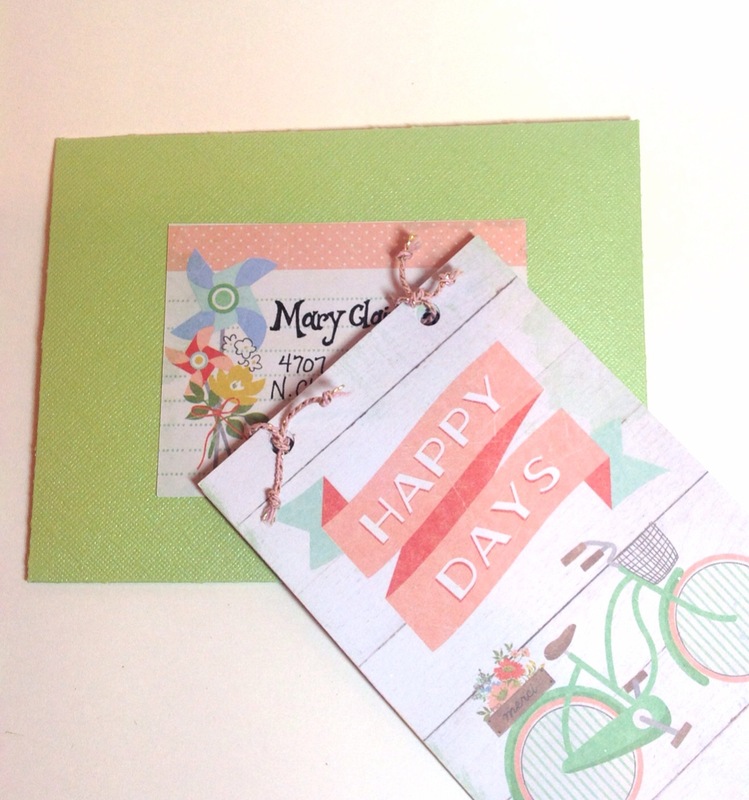 This was a fun package to put together. Can you think of some other yellow items I could add next time? Of course the Dollar Store would be a great place to shop. My girl just turned 22 years old. Wha-what?!? What happened to the little 5 year old playing with her dolls? She’s now sharing a house with girlfriends and working in a Charleston Bed and Breakfast. 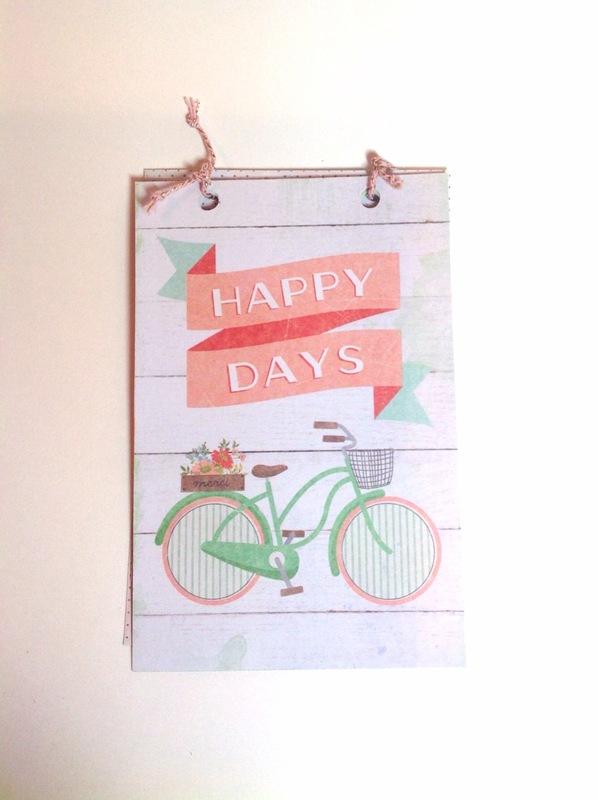 I thought this beautiful paper kit from Hobby Lobby would be a good choice for a birthday card. 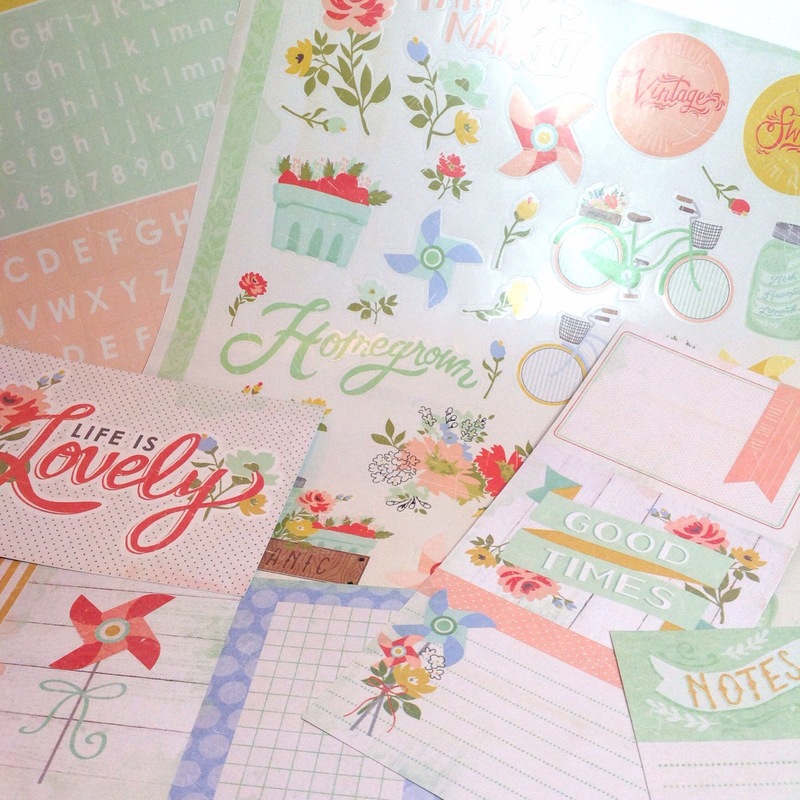 Not only does it have pretty papers, the kit comes with stickers and sweet 4×6 cards. 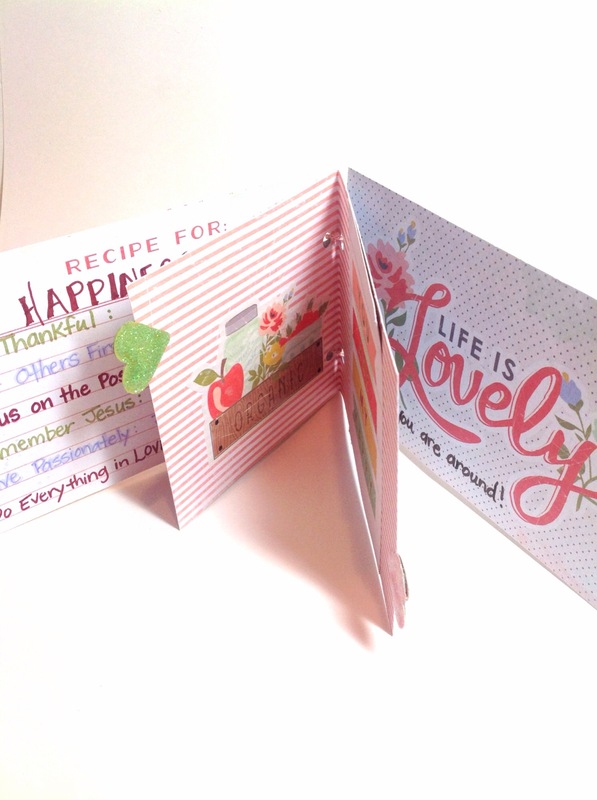 After choosing two 4×6 cards for the front and back of the card, I cut a 4×12 inch strip from coordinating paper and folded it in half. I cut 2 inches from one end to create a step in. 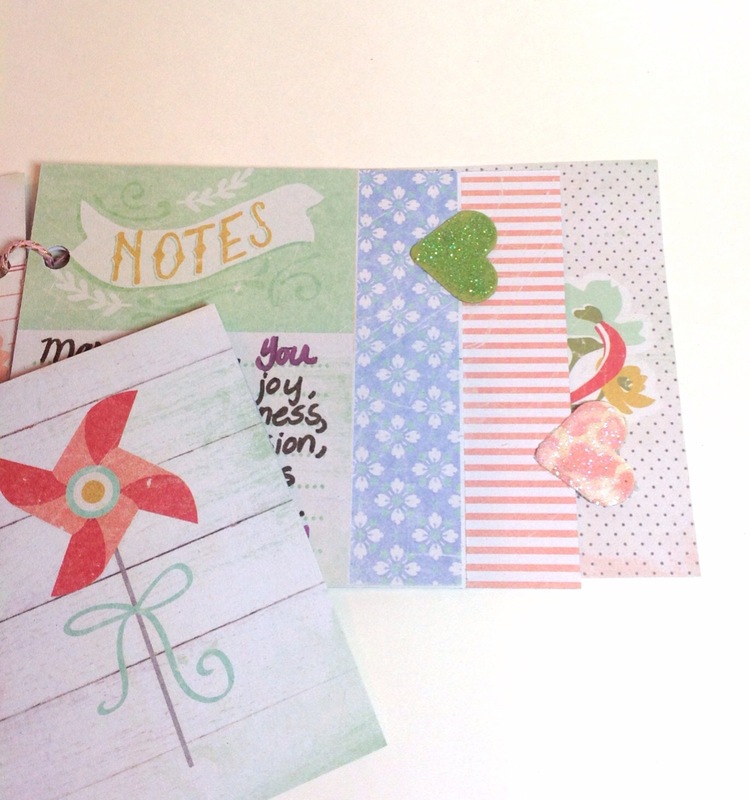 I decorated each page with a 3×4 card, message and or sticker. 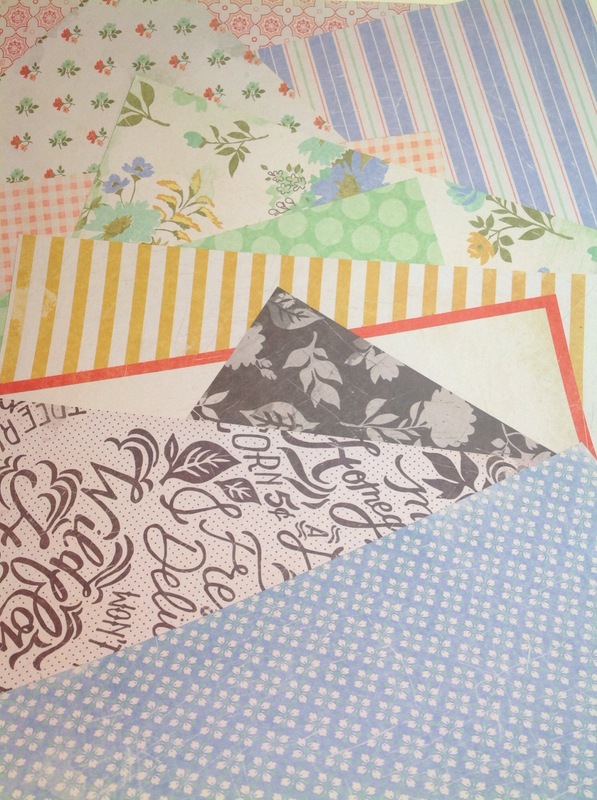 Using my heart punch and glitter, tabs were added for each page of the birthday book. Holes were punched for the string to tie the pages together. 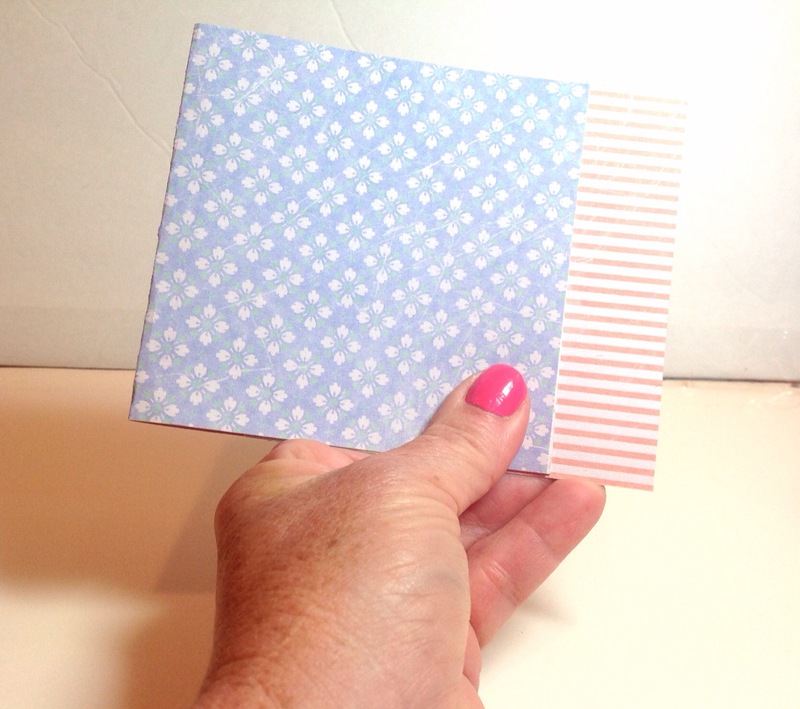 Made my own envelope using the Martha Stewart Scoring Board. Happy Birthday Sweet Girl of Mine!